An early match, when the teams still had lots of energy! I was introduced to the charity Tackle Africa around this time last year, when my friend Ruth volunteered as a medic at one of their fundraising events. I had gone to meet her with some lunch supplies as she was helping out at a 12-hour ‘football marathon’ at the common near Wormwood Scrubs, treating players in various states of exhaustion, with pulled hamstrings, sore quads, cramps and a miscellany of bumps and bruises. 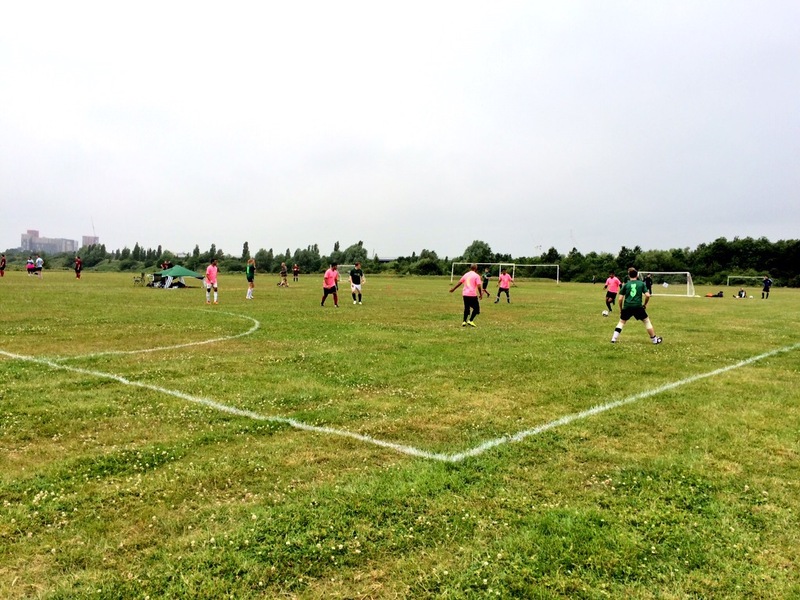 On Saturday, 12 months later, I found myself back at Wormwood Scrubs, this time as a volunteer myself. The marathon is an annual event, running overs a series of days and locations in London, Lancaster and Brighton. 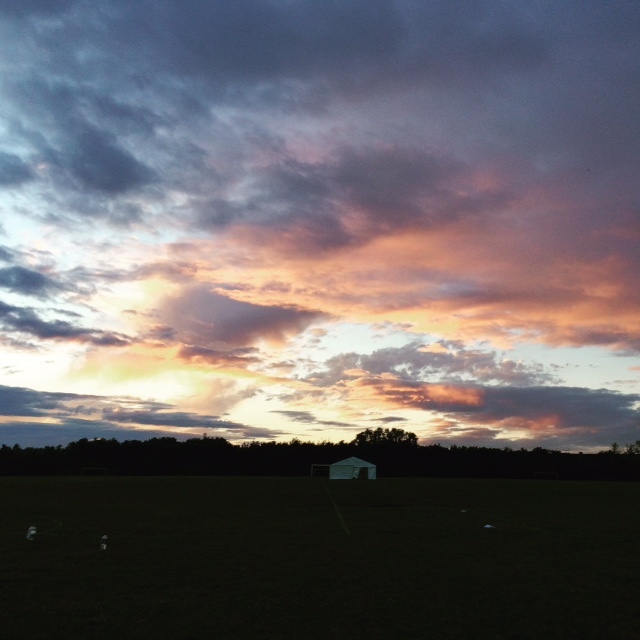 It has grown over recent years to encompass over 50 teams at each site, playing across 25 pitches, from 8am to 8pm with little respite. The money raised by each team goes towards funding Tackle Africa’s education and training programmes, which use ‘the power and popularity of football to deliver HIV education to young people on football pitches across the continent’. They train African coaches to use interactive football drills with the young people in their clubs and communities to teach about HIV. This is essential work as Sub-Saharan Africa is home to over 90% of the world’s HIV-positive children, and over two thirds of all people living with HIV, live here. With partners in Kenya, Tanzania, Uganda and Zambia, and working closely with a range of organisations, from grassroots community based groups to international NGOs and government ministries, Tackle Africa works to find and develop football coaches and reach thousands of young Africans every year. R, who has had a long affiliation with the charity, and who has played in his fair share of football marathons, was also volunteering, and we both got up early (him at 5am, me at a more civilised 6:15am), on Saturday morning to help out. The day was nonstop from when we arrived to when we finally got home, exhausted at 11pm. Volunteering as pitch manager I found myself running between pitches, collecting score sheets, acting as a ‘ball boy’ of sorts (to try and save player’s legs when the ball when off the pitch), litter picking, answering queries, trying to keep the players motivated (trickier when the rain came and everyone was exhausted), and at one point even refereeing a couple of matches. I positioned myself between four pitches so there was always plenty to do, and the various sprints for the balls, or to get the score sheets back to the data van, not to mention lumping what seemed like hundreds of bin bags of rubbish back and forth, certainly meant that I was getting a good helping of exercise, although nothing compared to the guys actually playing! I wish I had been wearing a pedometer to see how far I had walked. R once played while wearing a Garmin and it recorded over 40km, so it’s little wonder the guys playing were so exhausted. 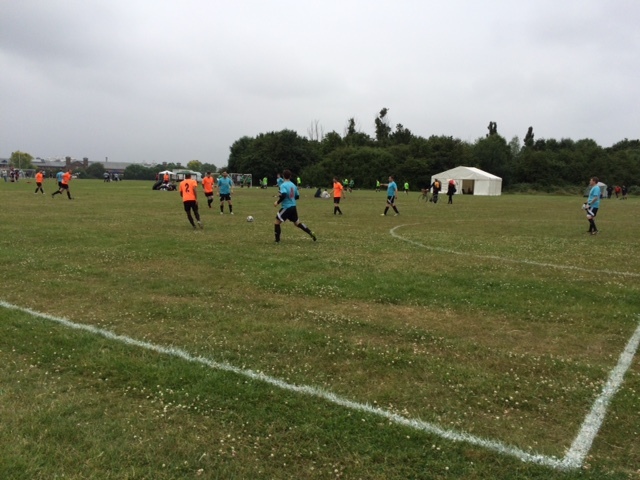 Even so, the atmosphere was amazing – everyone was so friendly and all of the games were played in such good spirits. The players were super polite and very generous when I found myself as a ref with minimal (read zero) experience. I was in complete awe of the guys who powered on for the whole tournament, one team continued even when they were down to five men as a number of their players were injured. The whole day actually made me want to take up football (while I think many of the players probably would rather not see a pair of football boots again for a long time!). 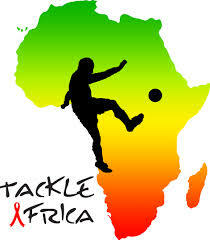 If you want to learn more about Tackle Africa you can visit their website at http://tackleafrica.org or read more about entering a football marathon (or volunteering) at http://tackleafrica.org/football-marathons.